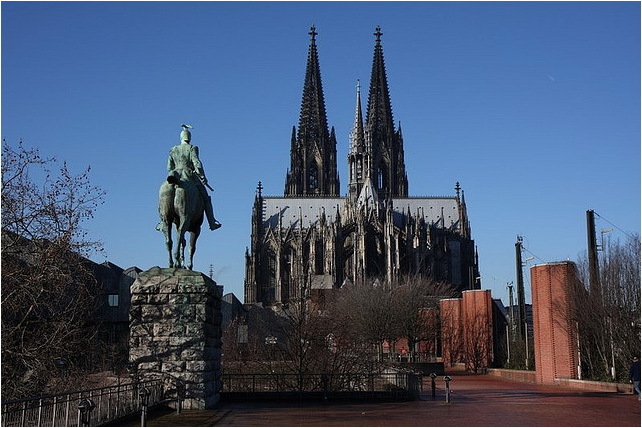 The Gothic cathedral dominates the skyline of Cologne and is one of Germany’s most famous landmarks. It is also one of the most beautiful examples of Gothic and Neo-Gothic architecture in the world. Building of the Cologne Cathedral was commenced in 1248, it took over 600 years to complete but the cathedral still dominates the skyline of the city. Currently the cathedral is the seat of the Archibishop of Cologne and it is a UNESCO World Heritage site since 1996. Upon its completion on the 14th of August 1880, the Cologne Cathedral held the title of the World’s tallest building until 1884. The Cologne Cathedral dominates the city of Cologne even today, it can be viewed from anywhere in the city, the cathedral's famous twin towers stand out boldly as the symbol of Cologne's proud history. On the outside the cathedral is dark and rather menacing; inside it is just awe-inspiring. At the end of the gigantic nave is the reason for the cathedral being built; the shrine of the Three Magi, the Three Wise Men whose relics were brought to the city in 1164. The Cathedral draws about 20,000 visitors each day and it is open all year round. Visitors can also climb to the tower of the cathedral, and the admission fee costs 3 euros. Climbing to the tower is possible every day starting from 09:00 AM and closes between 16:00 and 18:00 depending on the period of the year. A combined ticket to the treasure chamber and the tower is also available costing 6 euro per adult, and if you have time to, this is the best option to take. Guided tours are also available in English form Monday to Saturday between 10:00 to 14,30. In Sundays and Holidays the tours are available at 14,30. A ticket cost for English guided tours is 7 euros for adults and 5 euros for children and students. 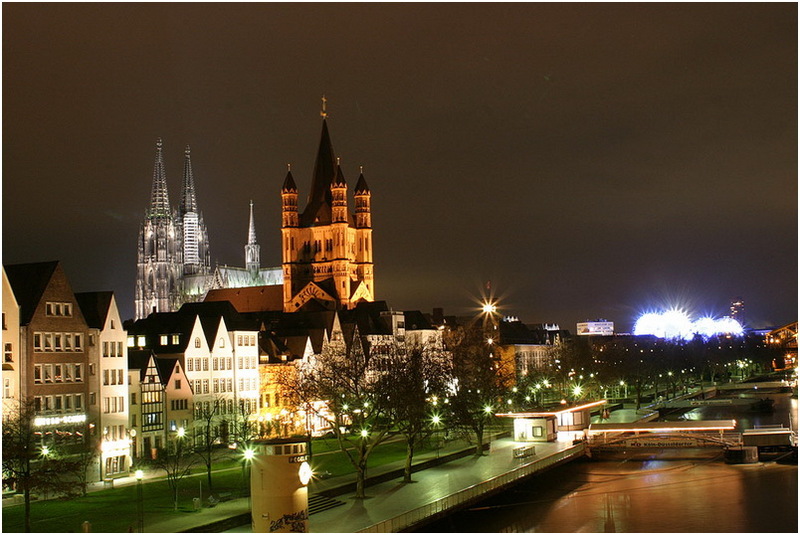 Getting to Cologne (or Köln) is fairly easy as it is well linked to other major German cities and the city is also served by an international airport. If you come by train, the Köln Dome (as it is called by Germans) is right next to the railway station. But once you enter Cologne, it is impossible not to see this imposing building. The Cathedral can be found at the following address: Domkloster 4, 50667 Köln, Germany.